A favorite with the locals since 1974, The Back Porch Seafood & Oyster House in Destin got started in a small A-frame building on the beach (pictured above). We instantly made a name for ourselves by serving delicious Gulf seafood with the best Gulf views. A few years later, we invented the Amberjack sandwich, and the rest is history. Enjoy the breathtaking Gulf views from the Back Porch while sipping on your favorite beverage and enjoying some of the best Gulf seafood on the coast. Everything is better when you're at the beach! We have been known for our fresh Appalachicola oysters for over 40 years. 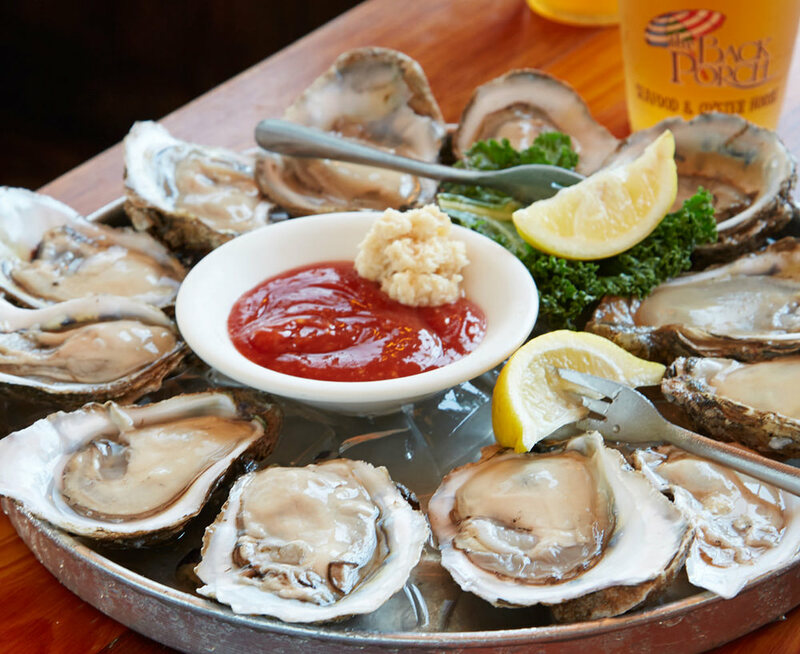 Our unpretentious atmosphere is the perfect place to enjoy a dozen raw oysters or some of our amazing baked Back Porch Oysters. The Back Porch takes tremendous pride in serving Gulf Seafood to its guests. If it lives in the Gulf, you will most likely find it on our menu. Our seafood is delivered daily and it is handled with great care from the minute it arrives at our door to the time it arrives at your table. Our standards are high and it shows in the presentation and flavor of every seafood dish we serve.